Successfully Added Meizu M3 Note Android Smartphone - 32GB, 5.5-Inch FHD Display, Dual-IMEI, Octa-Core CPU, 3GB RAM, 13MP Camera, 4G (Gray) to your Shopping Cart. The Meizu M3 Note is a stunning 5.5-Inch budget Android phone that brings your mobile connectivity to entirely new heights. Featuring two SIM card slots and Dual-IMEI numbers, this Chinese smartphone conveniently allows you to be connected to two network providers at the same time. From now on you’ll no longer need two different smartphones to separate your work and private life as, with the Meizu M3 at your side, you’ll always be within reach to your friends, family, and loved ones. Additionally, this affordable Android phone features 4G connectivity and Dual-Band Wi-Fi – providing you with the fastest data speeds out there no matter where you’re at. Whether you’re in the office, enjoying a cup of coffee in the city, or simply are relaxing at home – with this 4G Android smartphone you’ll always be able to browse the web at lightning speeds and stay up to date on the latest happenings. On its beautiful 5.5-Inch Full-HD Display, this Android smartphone lets you enjoy all your favorite movies, games, and other mobile entertainment in absolutely stunning detail and color. Its 4100mAh battery lets you enjoy all this beautiful budget Android phone has to offer for numerous hours in a row, assuring that you’ll never run out of juice at mid-day. Whether you like to watch FHD movies, play the most demanding games, browse the web, or simply engage in endless phone calls with your best friend – the Meizu M3 Note packs enough power to get you through the most demanding of days without needing to worry about battery life. Equipped with a powerful Octa-Core CPU that has been clocked at 1.8GZ; this Android smartphone is capable of handling the latest and most demanding of mobile media and applications without dropping a frame. Besides it ultra-fast processor, the Meizu M3 Note furthermore features a stunning 3GB of RAM, making this Android phone perfect for multitasking purposes. Browse the web, play games, and use multiple applications at the same time – there is nothing that will slow this Chinese smartphone down. Featuring 32GB of internal storage and 128GB of external memory support, the Meizu M3 Note holds plenty of space for you to save all your files and media alike. For all the mobile photography lovers among us, the Meizu M3 Note packs another surprise. Intergraded within the back of this Chinese budget smartphone lays a stunning 13MP camera that allows you to snap breathtaking photographs and Full-HD video. With this professional-grade camera in your pocket, you’ll be able to take your mobile photography skills to entirely new heights. Snap pictures and video of all your upcoming adventures and share your memories with all your friends and loved ones back home – from now on you can be assured that not a single special moment in life will ever be forgotten again. 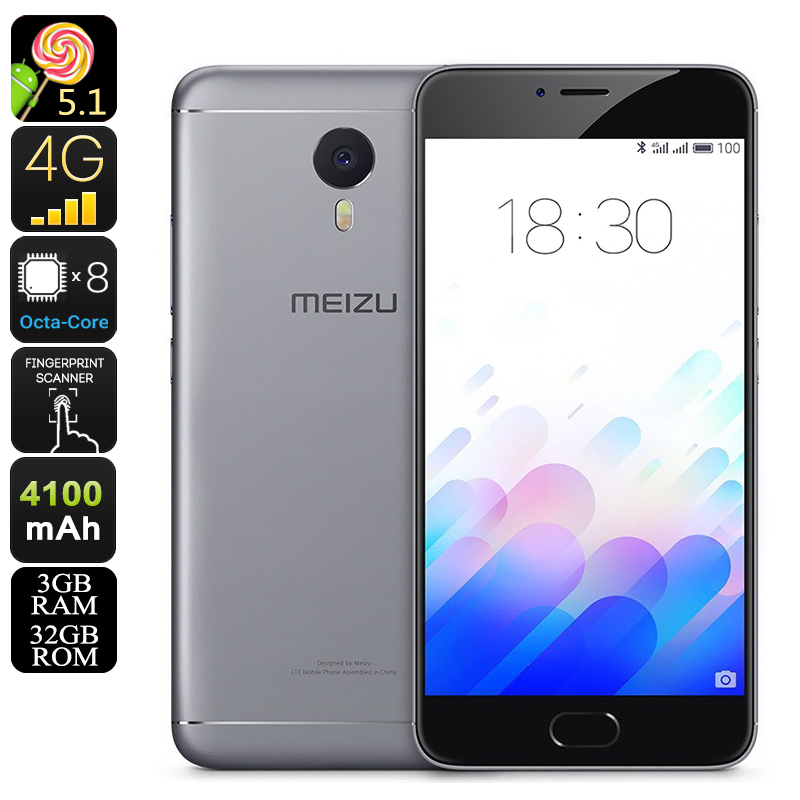 The Meizu M3 Note comes with a 12 months warranty, brought to you by the leader in electronic devices as well as wholesale electronic gadgets..